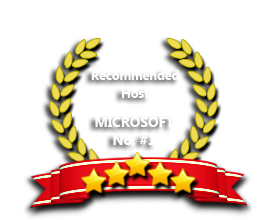 ASPHostPortal windows hosting is compatible with the DotNetNuke 8.0.4. We offer DotNetNuke 8.0.4 based hosting plan from just $5/month (see our DNN Hosting Plan). DotNetNuke (DNN) 8.0.3 is straightforward and easy to learn and use. DotNetNuke 8.0.4 makes it easy to edit content instantly. The DotNetNuke 8.0.4 CMS is designed to be adaptable to all types of businesses. Whether you sell products online or not, DotNetNuke 8.0.4 helps you manage all different types of your website content. DotNetNuke 8.0.4 provides a consistent user-interface experience across all administrative fields. Wherever users/managers are updating, editing or creating content, the dashboards are similar, recognizable and easy to navigate. ASPHostPortal.com is a windows-based hosting service provider. ASPHostPortal.com offers the most reliable and stable DotNetNuke 8.0.4 web hosting infrastructure on the net with great features, fast and secure servers. Our hosting can be done via USA, Amsterdams or Singapore based server. Depending your requirements, we can scale so we can deliver the right service for the right price. All of our windows hosting plan supports DotNetNuke 8.0.4 and you can install DotNetNuke 8.0.4 with just one click. Our support team is extremely fast and can help you with setting up and using DotNetNuke 8.0.4 on your account. Our customer support will help you 24 hours a day, 7 days a week and 365 days a year. Our Windows Cloud Hosting fully supports DotNetNuke 8.0.4 hosting. You are more than welcome to try our Free Windows Cloud Hosting before you decide to buy. You can get your Free Cloud Windows hosting account up and running within the next few minutes.